Following on from my previous post where I had begun to develop my design ideas, my final post shows the in depth development of those ideas. 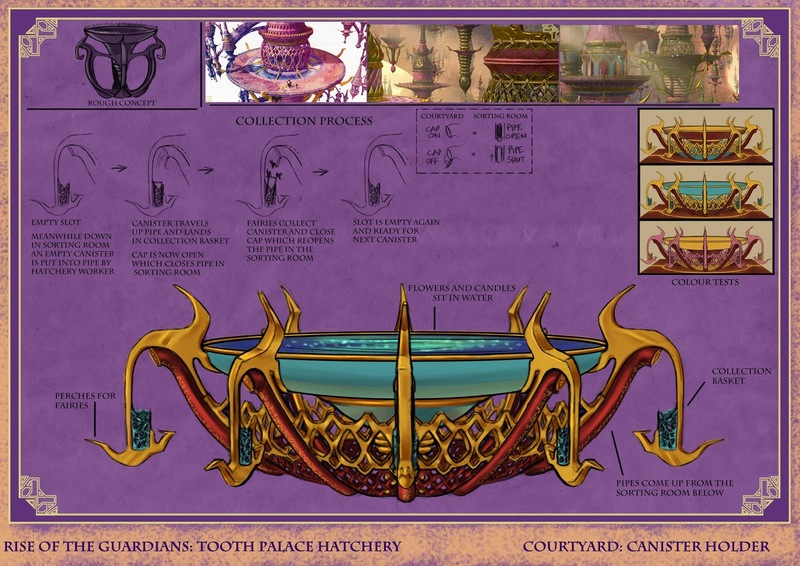 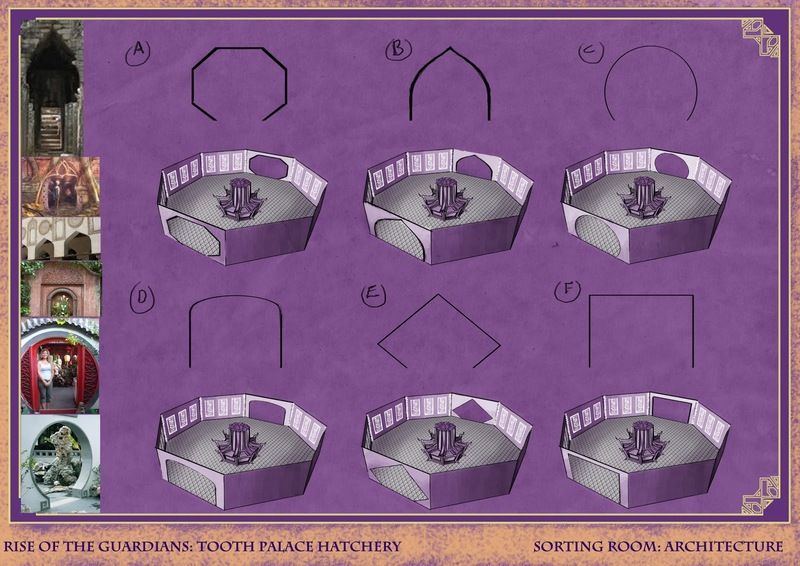 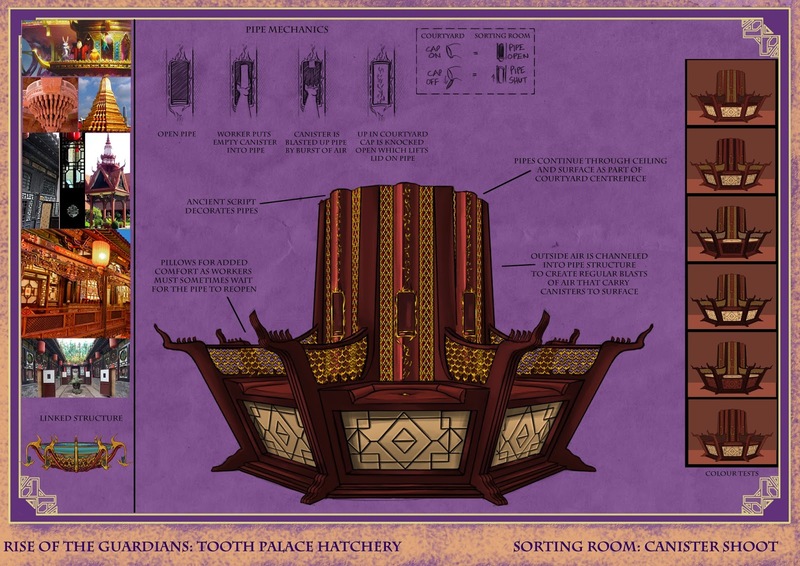 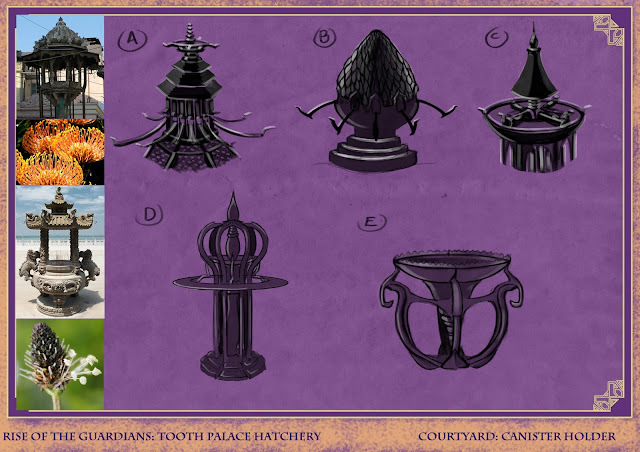 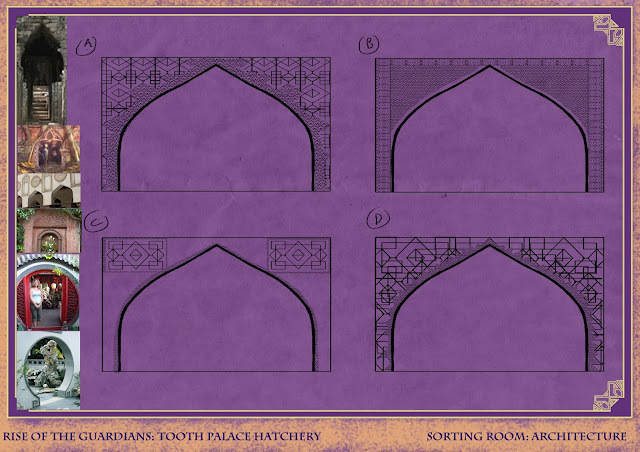 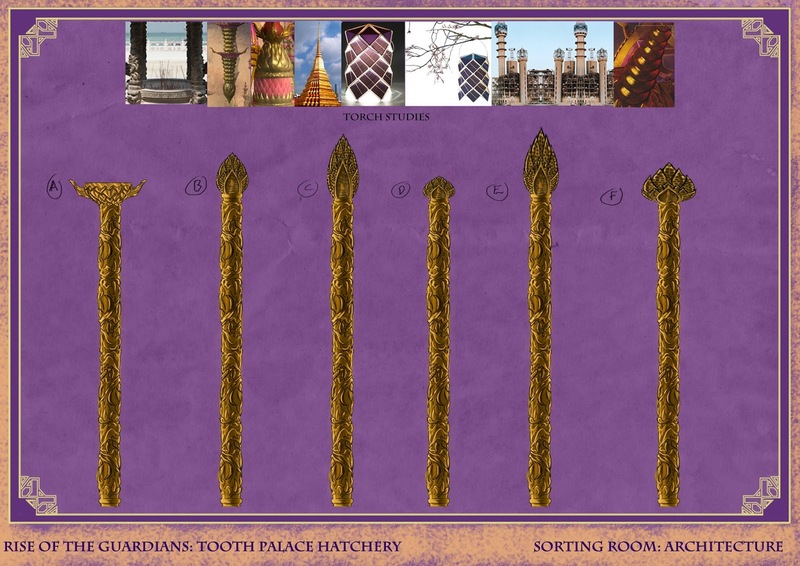 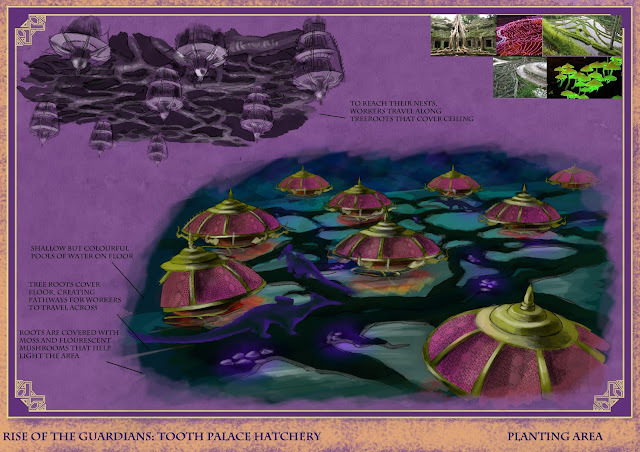 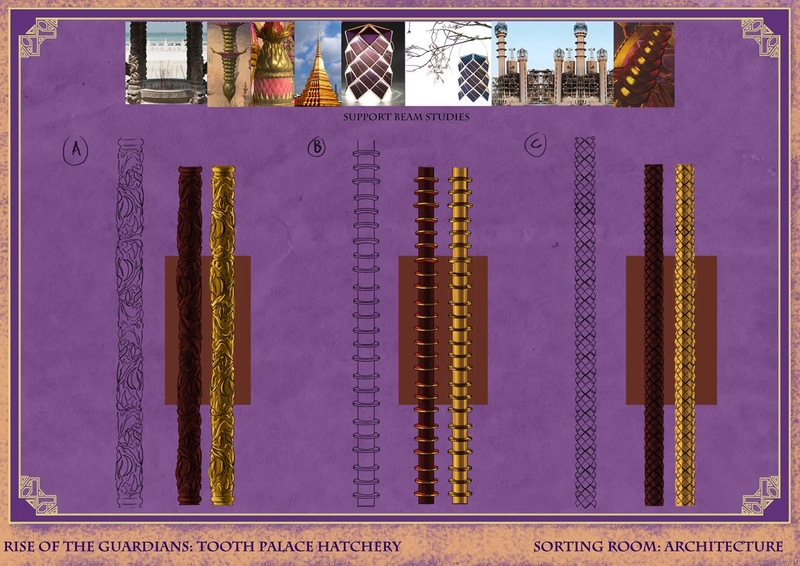 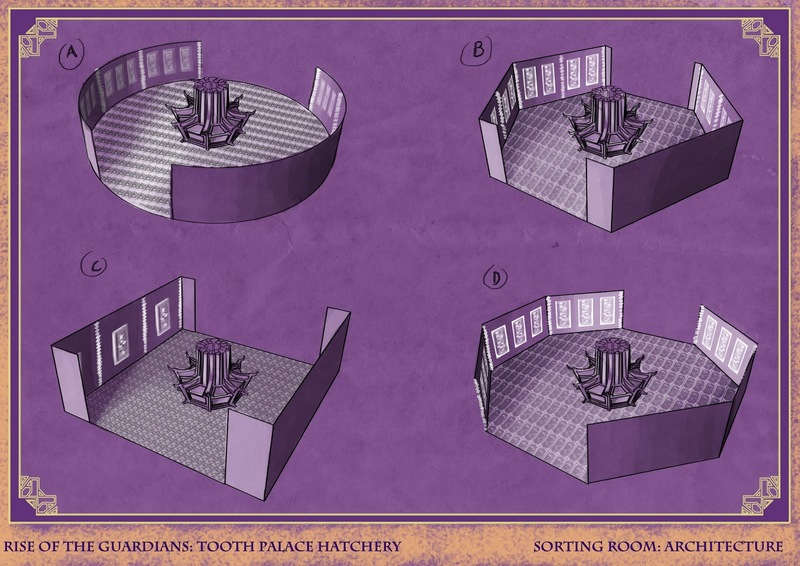 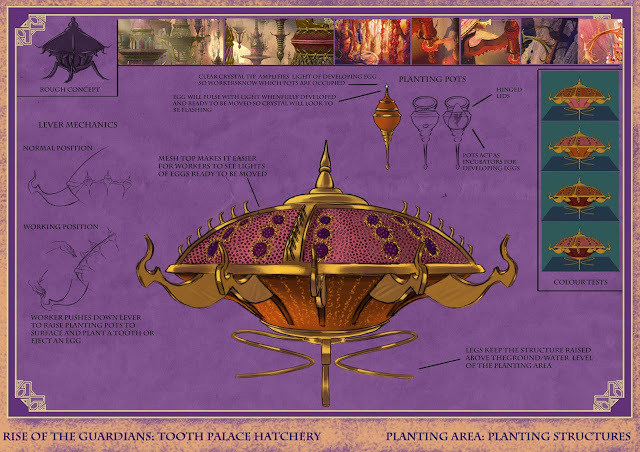 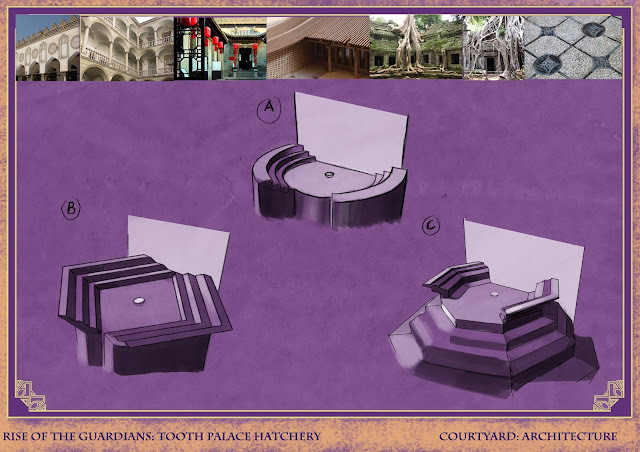 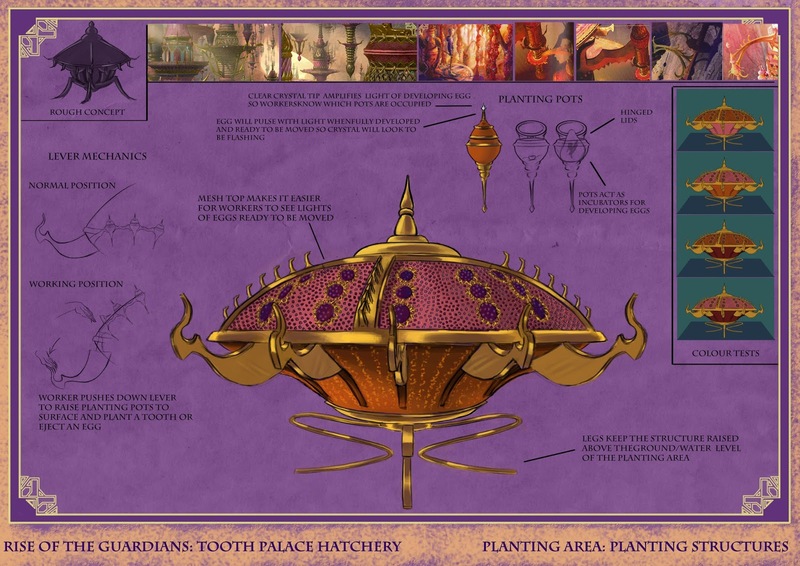 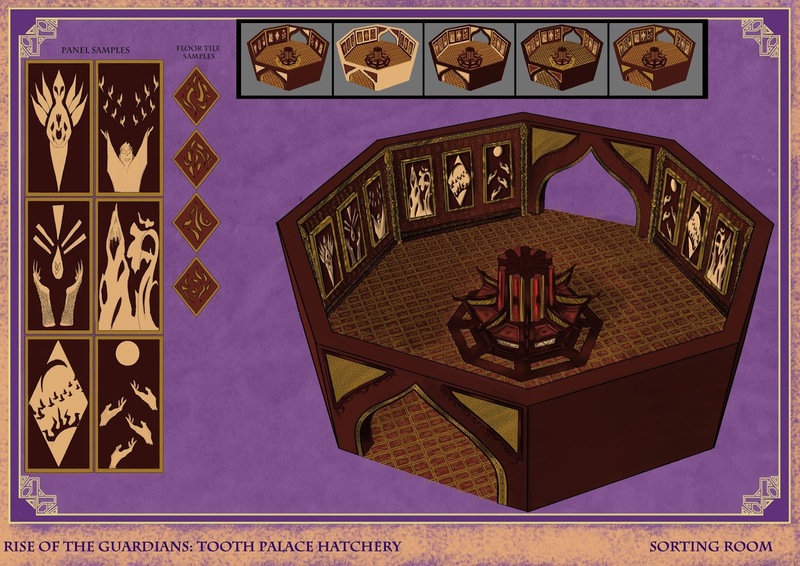 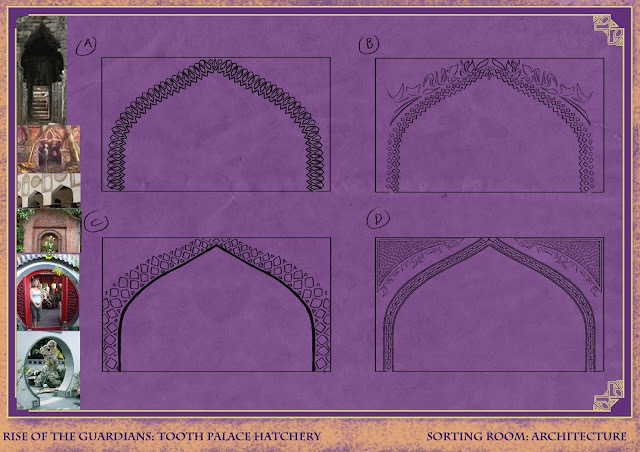 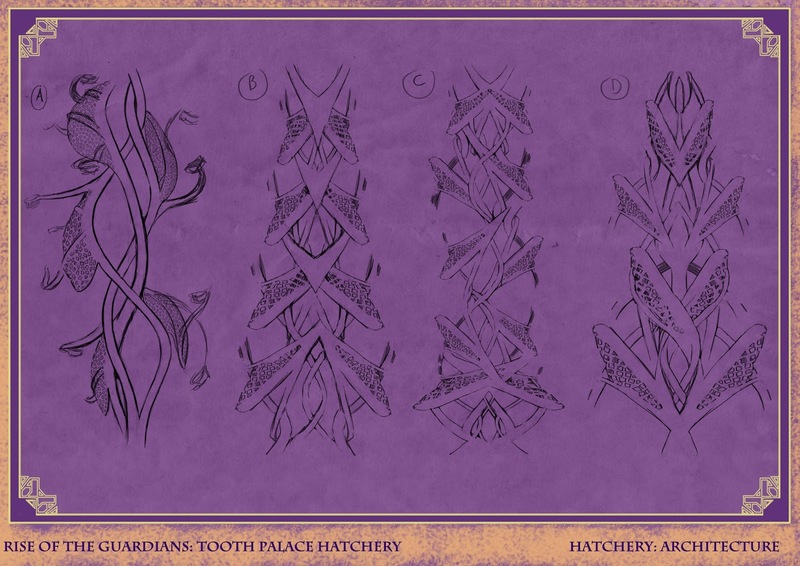 The most important aspect of the Tooth Palace set are the architectural structures, they make up the entire identity of the Tooth Palace, turning it from just a cave to a magical palace. 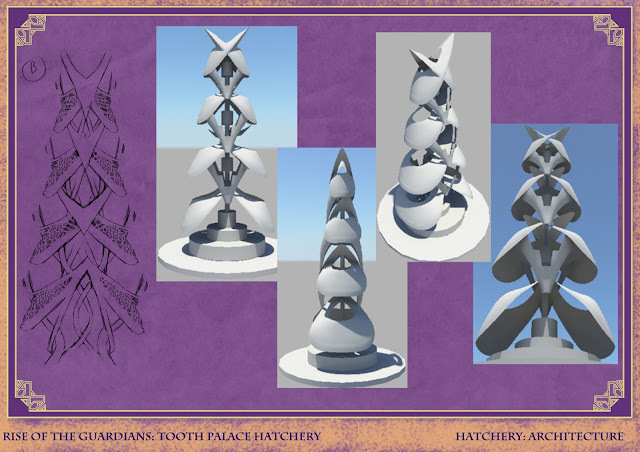 With that in mind, I paid most of my attention to the structures of my own set, trying to make sure they not only serve their vital functions but also keep the character of the original structures. It was at this point that I was rapidly running out of time before my deadline, I tried to finish everything as best as I could but there are some obvious dead ends to the work; I am particularly disappointed that I ran out of time before I could produce some final paintings of my set working as a whole. 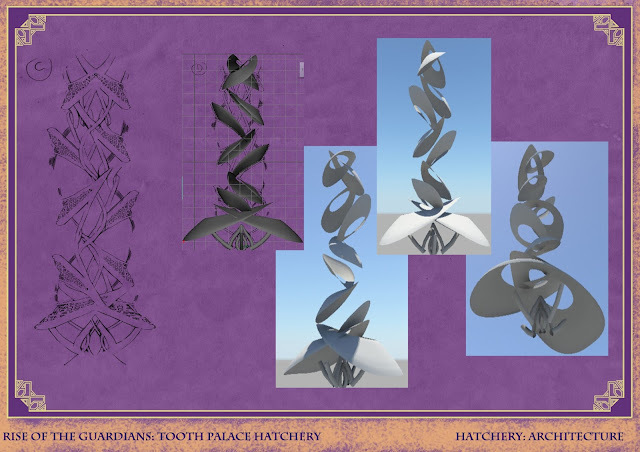 I have considered finishing the project in my own time for the sake of my portfolio, but when I think about the project as a whole, I achieved a lot of my aims for the project and I feel that I must keep looking forward and concentrate on my final year of university. 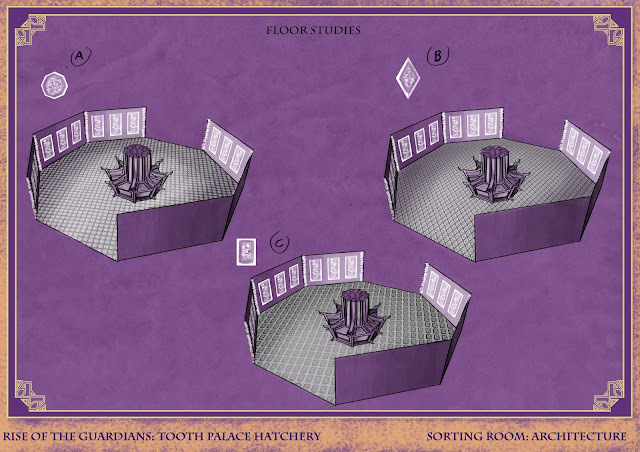 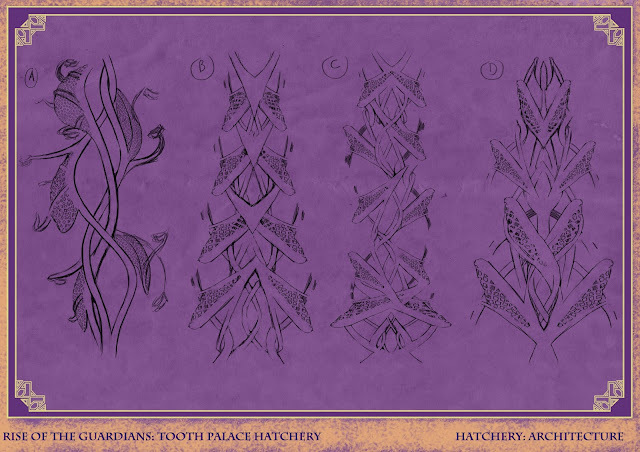 As the workers drive the design of the hatchery set, it was important to me that I pin down their design. 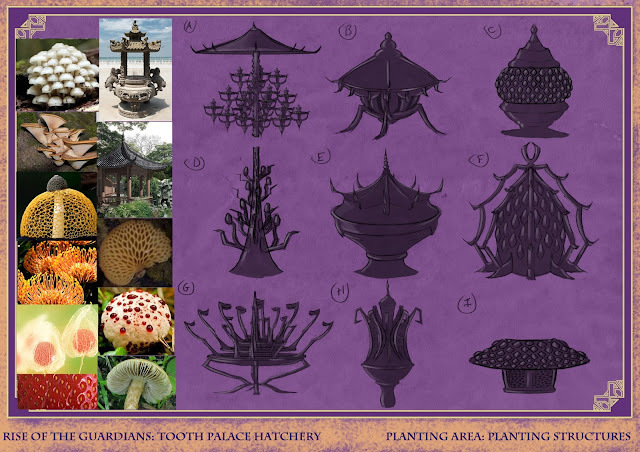 During my early research I discovered the Pangolin, a creature native to the Huang Shan Mountains. 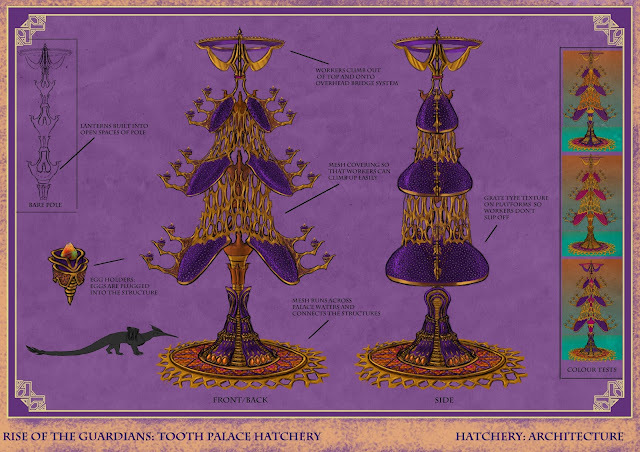 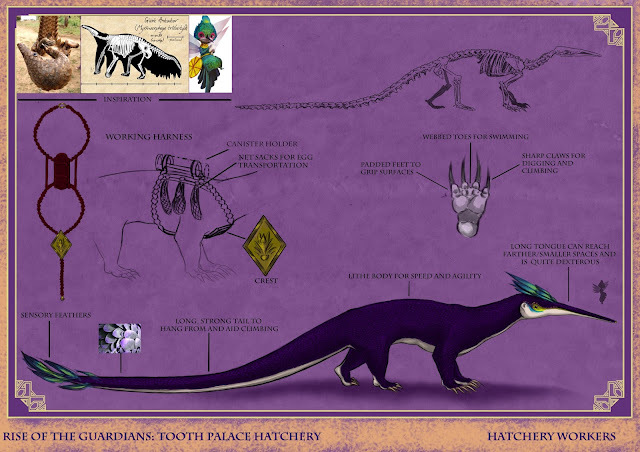 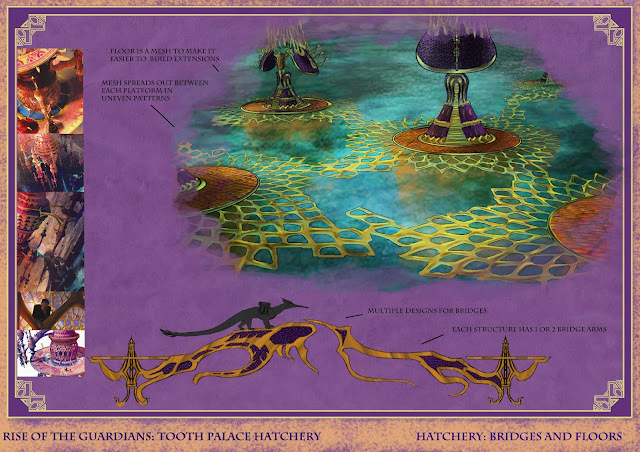 I thought this creature would be an excellent basis for my Hatchery Workers as it had a lot of functionality that the workers could use and its scales reminded me of the gold leaf texture found in the Tooth Palace. When developing the workers I used the Pangolin as the main inspiration but I created the actual body of my Workers by splicing a number of different animal skeletons together to create the shape I wanted. 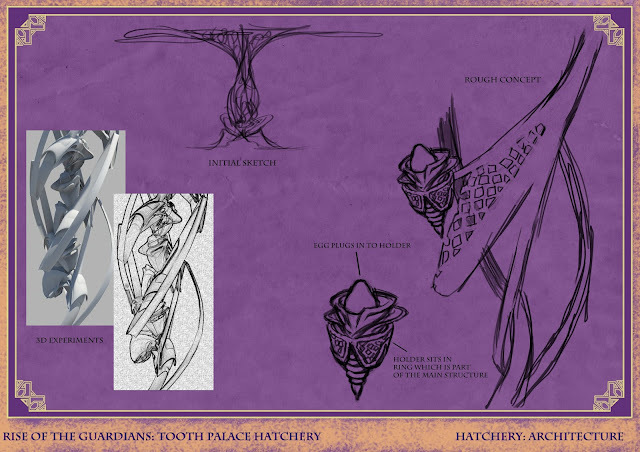 Aside from functionality, my main aim with their design was to make them relatable to the Mini-Fairies and the Tooth Fairy through various similar visual features.